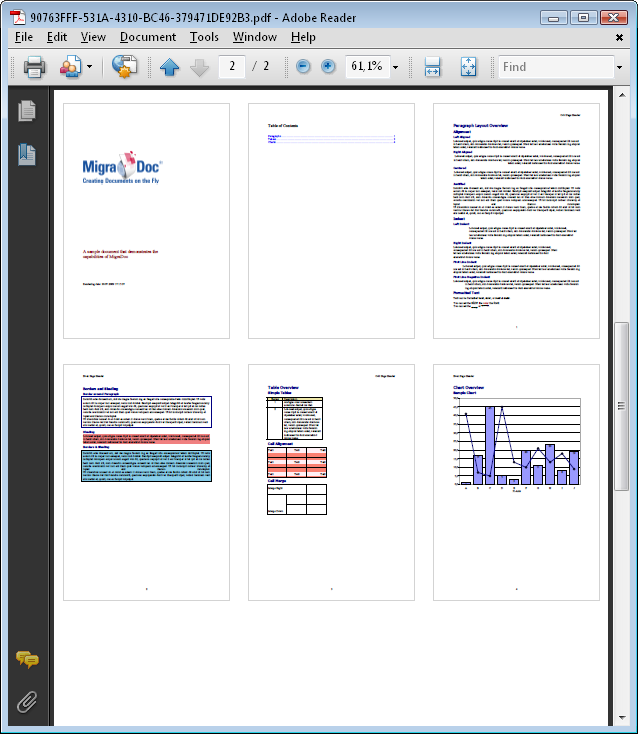 This sample demonstrates how to mix MigraDoc and PDFsharp. // You always need a MigraDoc document for rendering. // Add a single paragraph with some text and format information. // Render the paragraph. You can render tables or shapes the same way. // For clarity we use point as unit of measure in this sample. // A4 is the standard letter size in Germany (21cm x 29.7cm). // Use BeginContainer / EndContainer for simplicity only. You can naturaly use you own transformations. // Render the page. Note that page numbers start with 1. // Note: The outline and the hyperlinks (table of content) does not work in the produced PDF document.